We now live in beautiful Sarasota, Florida, but this was my life for the past 35 years. Welcome to Margie’s Mountain View! I’m so glad you’re here. In October of 2016, Margie’s Mountain View was just a glimmer in my eye. I remember the time-frame distinctly; it was right after I was thrown from a horse and suffered a fractured pelvis. Living as we did at 9800’ altitude, you have to sell when you see the chance. 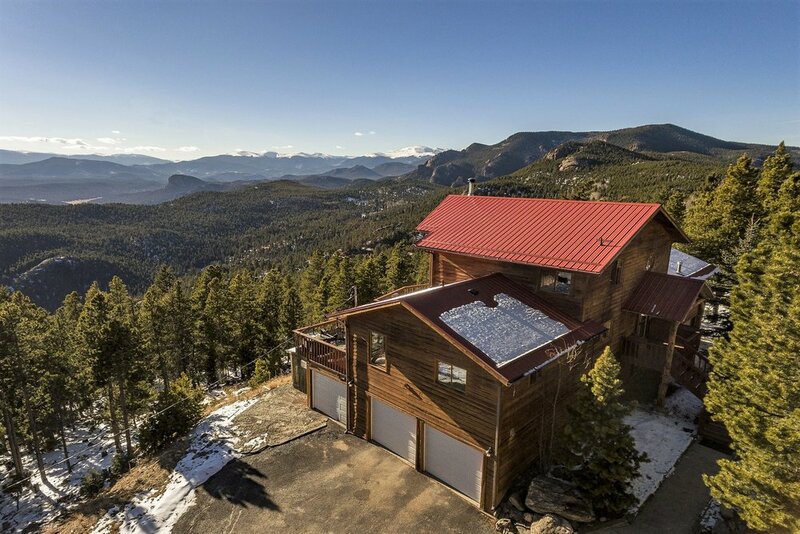 This picture below was one of the MLS photos of our home of 20 years in Conifer, Colorado. That month, we found an awesome listing agent in Evergreen, and by February of 2017, our home of 20 years was sold for $18k over asking price on the first weekend it was listed. Margie's Mountain View was intended to provide a window into living in a beautiful mountain town, Evergreen, Colorado. Our new home was only 11 miles away from the house we sold in Conifer, but we were soon to be thrown a curve ball. The Universe had another plan. By the time I finally sent out my first newsletter, we had up and moved to Sarasota, Florida from our new home in Evergreen, Colorado, only 16 months later. In the interim, we started a successful Airbnb and I launched the blog. And we moved and moved and moved again. In all, we occupied six places in 2-1/2 years. This time, to Sarasota, Florida, a known center of healing energy. Coincidentally, I had some healing to do. I’m originally from Connecticut but I moved to Boulder, Colorado when I was 18. Dave and I have been married for close to 15 years, and we’re the proud grandparents of Kailani, who is the daughter of Dave's son, Chris from a previous marriage. Our fur babies are Wilbur, a 12 year old black pug, and Winnie, who is still a puppy at the time of this writing. At 57, I find myself in Sarasota, Florida, happily, yet completely unexpectedly. So, I often blog about starting over, getting off the corporate gerbil wheel, alternative health and wellness options and building a solid marriage. My healthcare background is evident throughout my blog posts, as I refer to peer-reviewed journals as references. It comes in handy as I try my hand at aesthetic procedures and healing techniques in and around Sarasota. I don't claim to have all the answers and I still have a lot to learn, but I'm happy to share what I've learned in the hopes it might help someone else. Welcome aboard! It's going to be a fun ride.